I’m still here, but have been quiet as late so I thought I would post an update. First, my private pilot license finally came in the mail last week. It’s great to have the plastic! Second, since passing the checkride I have rolled directly into IFR training. A series of things have kept me out of the air over the past three weeks, but prior to that we got four lessons in, one in the FAA-approved sim at the school and three in the SR-20. These lessons have been great, and I have enjoyed both the IFR work and getting to know the Cirrus platform. I am proud to say that on our third flight we completed my long cross-country IFR requirement. 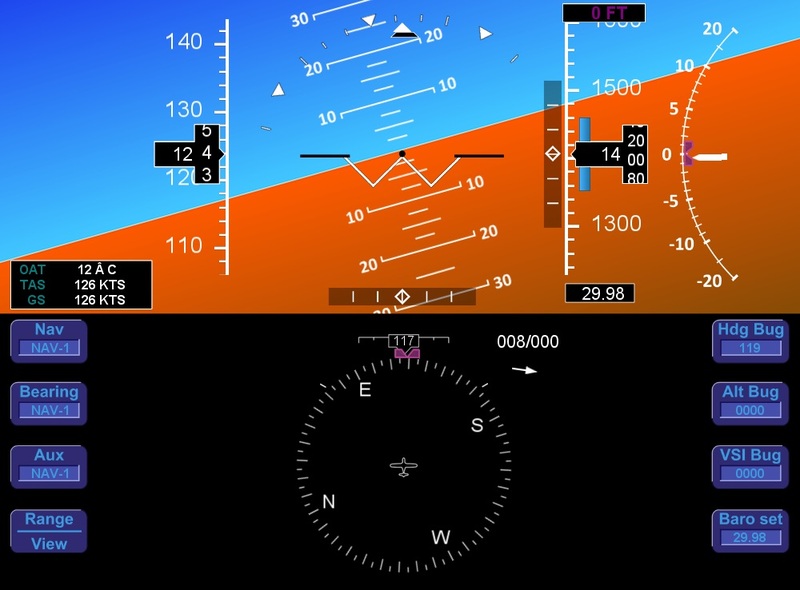 This is a flight in real or simulated instrument conditions (we flew it under the hood as the weather was beautiful that day) with three different approaches at three different fields. We departed Albert Whitted then shot the VOR approach at Gainesville, the ILS approach at Lakeland, and then the RNAV approach at Albert Whitted. I was very pleased to complete this requirement so early in my training, and for me it was a strong testament to the value of PilotEdge. On my third instrument flight I shot three approaches and navigated over 250 miles cross-country, under the hood, manning the radios in and through congested Tampa Bravo airspace, and never missed a beat. I’m absolutely certain this would not have been possible without my PilotEdge experience. Third, a few weeks back I attended a Cirrus Pilot Proficiency Program at Lakeland Airport, near Tampa. I took classes in GNS430 use, in-flight weather, pre-flight and in-flight decision making, and much more over two days. I found this experience extremely valuable and worth every penny, and it was very humbling to rub shoulders with so many pilots and instructors who are (1) deeply experienced, and (2) deeply committed to a culture of safety. 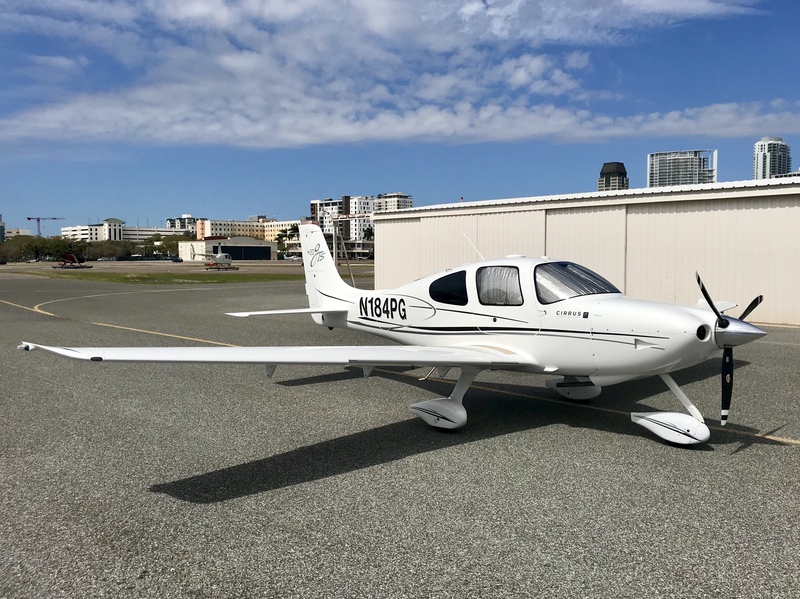 I continue to be impressed with Cirrus not just as a platform (I love flying the SR-20), but as a culture. It makes me a better pilot, that’s for sure. Fourth, I’ve been spending time in the simulator but primarily as an IFR training aid. I have it configured as an SR-20, and have been spending all my flights on PilotEdge, mostly working through the I-Ratings the provide via their website. I’ve completed up through the I-9, and I hope to fly the I-10 in the next few days. Finally, I have not posted a video since passing my checkride. Folks have been asking for another one, and I’ll post one, but so far the absence has been intentional. 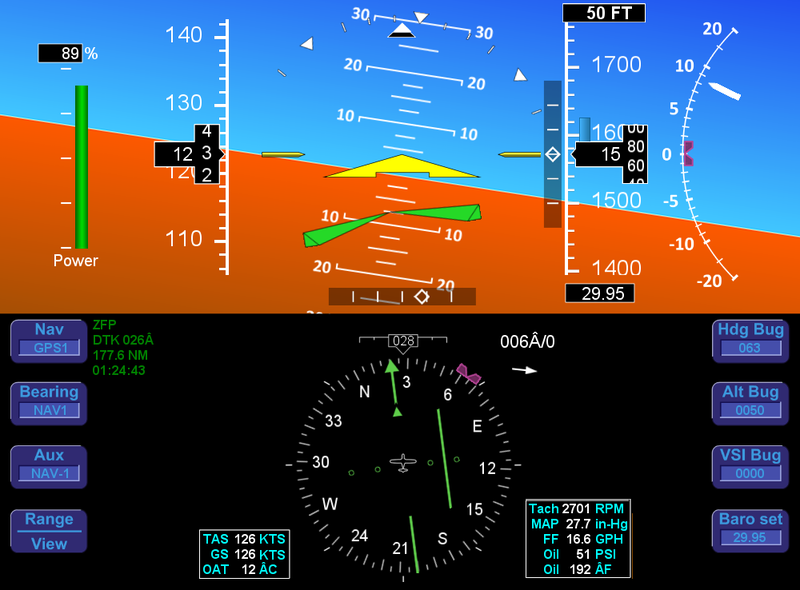 Because I am now using the sim primarily to augment my real-world instrument training I am trying to replicate the same environment I would try to create in the real world — an in the real world I would not introduce the distraction of narrating a flight and interacting with folks via the chat. This isn’t to say I won’t stream live in the future — certainly once en-route chat is no problem — but I’ve been flying the I-Ratings and working on shooting approaches, and it’s bad practice in my view to be managing a stream at the same time. Practice makes permanent, after all. But I will post a new video soon, and I may try streaming a flight privately or filming it for posting later rather that streaming it live with interaction. Either way, I’ll have something up in the future, and thanks for staying tuned in. I’ve made quite a bit of progress with the Avidyne Entegra panel modification I’m doing in Air Manager. I have the ILS bugs working correctly, have added a flight director, am making progress on the HSI display, and how have a working power tape on the left-side of the display. It’s starting to look and work more and more like the real thing, and I hope to try it out on a PilotEdge flight later today.